YA Indie Princess Reviews ~ What can I say Elizabeth Reyes has once again blown me away I loved Sofie's novel and her and Eric are just meant to be. I was super happy when I saw this had been released on amazon.co.uk sad that I will even say this but I did a happy dance. I can't wait to read the next two books in the amazing series. Mteja- GoodReads reviewer ~ I devoured this book from beginning to end in one sitting. Now I'm sleep deprived but it was worth it. 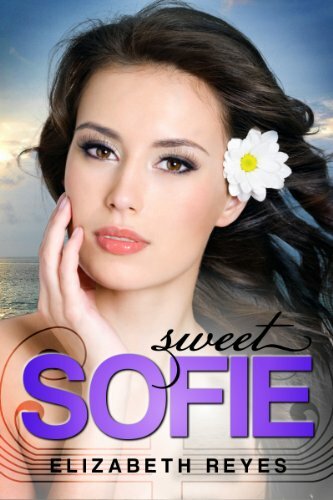 Sweet Sofie is a delicious read for anyone who's a fan of an forever-and-ever kind of a love story. Tasha –GoodReads reviewer ~ I went into Sweet Sofie thinking I already knew their story from reading Forever Mine and Always Been Mine. Asking myself, "What more can be left to say?" However, I was still excited to read it out of my love for the former books and my new (ever-growing) loyalty for their author. But I was so wrong! Elizabeth Reyes took this story to an incredible height, that I did not see coming. Eric and Sofia are absolutely amazing together. There is not a dislikable character in this book. Nor, is there a thing to be changed, 5 stars no doubt about it! Her entire life, Sofia Moreno has dealt with overprotective brothers. With her three older brothers always lurking, no boy would dare reach out to her. Luckily for Sofia, the one boy she's got her heart set on has always been within reach: her brother's best friend Eric, even though his loyalty to her brothers runs deep. Sofia knows there is only so much he can do before giving in to her. Two years older than her, Eric Diego has always known there would be hell to pay if he messed with his best friend's kid sister, Sofia. Through the years, he watches as she blooms into a beautiful young lady right before his eyes. With teenage hormones raging and Sofia more than willing, Eric agrees to the unthinkable: a forbidden secret romance. Feeling emotions and a feverish passion that's new to them both, neither is ready for how quickly their romance spins out of control. Mature YA Contemporary romance aprx 58k words long.